Prime Minister Narendra Modi responded to this pattern of increased violence by publicizing “surgical strikes” in September 2016. These hit-and-run-and return operations can be scaled up if deemed warranted, as can Pakistani responses. Modi’s action shored up domestic support but did nothing to reverse or stem the pattern of violence across the LoC. Crises reoccur because they don’t resolve any of the underlying problems. Instead, they just aggravate pre-existing conditions. Offsetting nuclear capabilities have not calmed these troubled waters. This shouldn’t come as a surprise because nuclear weapons do not have a calming influence. Instead, they magnify grievances. The alternative to crises, sub-conventional sparring, and limited warfare between India and Pakistan is intensive and sustained diplomacy to reconcile differences. But this pathway requires a bold leader in India to take the initiative and a bold leader in Pakistan willing to stand up to spoilers. This hasn’t been tried since Partition. The frequency of crises is hard to predict. Sometimes they follow closely after each other; at other times, there can be a long hiatus between crises. There was a nine-year lull between the 1990 crisis, sparked by a large-scale Pakistani military exercise and inflammable developments fostered by Pakistan’s military and intelligence services in Kashmir and Punjab, and the Kargil war. India and Pakistan have now gone over nine years since the 2008 crisis when cadres of the Lashkar e-Taiba attacked iconic targets in Mumbai. So far, the high-water mark for crises and risk taking on the subcontinent occurred in the first three years after the 1998 nuclear tests. These years of living dangerously were marked by the 1999 Kargil war followed by the 2001-2 “Twin Peaks” crisis, which was sparked by an attack on the Indian parliament building by militant cadres whose leadership were based in Pakistan. Every crisis has provided an impetus to Pakistani and Indian nuclear modernization programs, upping the stakes for the next crisis. There is no evidence, however, that an accelerated nuclear competition or the nuclear balance of forces have affected the outcome of any crisis, in part because the contestants remain largely in the dark as to each other’s actual capabilities. To shore up deterrence, Pakistan threatens to use nuclear weapons first and India threatens to respond with massive retaliation. These threats lack credibility to the listeners, no matter how often they are repeated because they appear too dangerous to initiate. Nuclear detonations by accident or by a breakdown of command and control are more likely than an orders being passed down by from Indian or Pakistani decision makers. Why have nuclear detonations been absent so far? New Delhi’s leaders place a high priority on economic growth and have viewed uncontrolled escalation as a significant threat to this objective. In addition, there is a paucity of meaningful targets for Indian forces within Azad Jammu and Kashmir, where escalation is mostly likely to be controlled. Targets elsewhere in Pakistan are another matter. Pakistan’s decision makers are also sensitive to uncontrolled escalation. All of these constraining factors continue to remain in place in the event of another crisis. In addition, Pakistan’s leaders now have concerns about the impact of fighting on crucial Chinese Belt and Road investments. The more both countries need to focus on improving the environment for foreign investment, the more unwelcome another severe crisis would be. Perhaps this helps explain the absence of big explosions since the 2008 Mumbai attacks. There is also reason to hope that Pakistan’s decision makers have internalized the lessons of prior crises. Dangerous misadventures have not advanced the Kashmir cause. Instead, the Kargil War and big explosions in India with links to Pakistani have reaffirmed the status quo in Kashmir, badly damaged Pakistan’s international standing, and have diminished its economic prospects, aside from China. It is possible that the worst nuclear-tinged crises on the subcontinent are a reflection of a more troubled past. But there is no room for complacency. Some of the indicators of another major crisis are growing. Violence along the Kashmir divide and unrest within the Kashmir Valley are high. Spoilers haven’t changed their agendas. India and Pakistan have track records of miscalculation about acceptable tolerance levels, and sustained diplomacy to improve ties has insufficient backing. There’s also a Catch 22 about activating diplomacy, as this might activate spoilers, as well. Even so, without sustained diplomacy to make progress on long-standing disputes, the risk of nuclear crises will remain ever prevalent in the Subcontinent. The Chinese military has expressed its desire to enhance its nuclear weapons to keep up with the U.S. and Russia, two leading powers that have increasingly committed to modernizing their own arsenals. In a commentary featured Tuesday in the PLA Daily, the official newspaper of the People’s Liberation Army, military experts Li Xianrong and Yang Min detailed the nuclear strategies of the U.S. and Russia, China’s primary global defense competitors. While the outlet compared nuclear weapons to a „sword of Damocles“ hanging over the head of mankind and called for them to be completely eradicated in a concluding note, the editor ultimately said they were a necessary tool to secure China and forward its interests as a major international player. „In the roiling unpredictability of today’s world, to upgrade the capability of our country’s deterrence strategy, to support our great power position… we must strengthen the reliability and trustworthiness of our nuclear deterrence and nuclear counterstrike capabilities,“ the editor wrote, as translated by Reuters. The article mostly centered on the evolution of the U.S. and Russia’s nuclear strategies since the Cold War and came in response to President Donald Trump’s upcoming Nuclear Posture Review expected to be released by the Pentagon sometime next month. A draft version of the document was leaked by The Huffington Post earlier this month and its contents revealed controversial plans to loosen restrictions on the use of nuclear weapons and install low-yield, tactical nuclear devices on submarine-launched Trident II D5 ballistic missiles. Li and Yang, both researchers at the ruling Chinese Communist Party-controlled PLA Academy of Military Science, claimed that the Trump administration’s plan, if realized, would make the U.S. a more powerful nuclear power than ever before. They noted that the U.S. draft suggested committing up to $1.2 trillion for three decades of upgrades to the Pentagon’s nuclear triad, including B-21 Raider strategic bombers in the air, Columbia-class nuclear submarines at sea and various nuclear missiles and bombs deployed at air, land and sea. The Chinese researchers wrote that Russia too was revolutionizing its nuclear force. They referenced Russian President Vladimir Putin’s ongoing push to modernize 90 percent of his country’s nuclear force, the largest in the world, by 2021. Tuesday’s analysis mentioned critical improvements to Russia’s Topol intercontinental ballistic missile (ICBM) and the highly-anticipated R2-28 Sarmat, or „Satan 2,“ ICBM among other developments. The U.S. and Russia’s latest nuclear initiatives, coupled with heightened tensions between the longtime foes, have raised concerns about their ability to maintain peace, especially as they fall on opposite ends of conflicts in Europe and the Middle East. In this strategic standoff, China has largely sided with Russia in a joint effort to counter what the two powers see as a hegemonic U.S. presence around the world and especially in the Asia-Pacific, where the U.S. has challenged China’s sprawling territorial claims and threatened to attack neighboring nuclear-armed North Korea. China joined the nuclear race comparatively late to the post-World War II superpowers, but did so at the height of the Cold War, which grew increasingly complex as the world’s largest communist powers, China and the Soviet Union, fell out with one another. China departed from Moscow’s massive nuclear umbrella and began its own nuclear program, testing its first weapon in 1964. China joined nuclear powers France, the Soviet Union, the U.K. and the U.S. in signing the 1968 Treaty on the Non-Proliferation of Nuclear Weapons. China was believed to possess around 270 nuclear warheads, according to the International Campaign to Abolish Nuclear Weapons, placing it behind Russia, the U.S., France and the U.K. in terms of stockpile size. China has a powerful arsenal of tactical, cruise, medium-range, long-range and ICBMs launched by air, land and sea, including the mobile-launched Dongfeng („East Wind“) or DF-41, believed to be the world’s longest ranged missile at a projected 7,500 miles. Richard A. Clarke, chairman of Good Harbor Security Risk Management, was special adviser to the president for cybersecurity in the George W. Bush administration. Steve Andreasen was the National Security Council’s staff director for defense policy and arms control from 1993 to 2001 and teaches at the Hubert H. Humphrey School of Public Affairs. Five years ago, the Pentagon’s Defense Science Board published a report equating the impact of Chinese and Russian capabilities to launch an “existential cyber attack” against the United States with the impact of a nuclear attack — and recommended that the United States be prepared to threaten the use of nuclear weapons to deter cyberattacks. When the board’s recommendation was exposed to the light of day by the two of us and others in 2013, it was publicly rebuked and, as a matter of policy, quietly discarded. But just last month, the board’s proposal became U.S. policy. In December, the Trump administration’s National Security Strategy quietly expanded the role of nuclear weapons in U.S. defense plans, stating they are “essential” to prevent “non-nuclear strategic attacks” — i.e., cyberattacks. This week, the Trump administration is expected to release its “Nuclear Posture Review.” A leaked pre-decisional draft reaffirms the policy of threatening nuclear use to prevent cyberattacks, but goes even further — expanding the role of U.S. forward-deployed nuclear weapons in NATO’s European defenses. Moreover, as NATO has repeatedly stated, “The supreme guarantee of the security of the Allies is provided by the strategic forces of the Alliance.” With three nuclearized member states — the United States, Britain and France — NATO has a robust nuclear deterrent capable of being employed anywhere in defense of NATO interests. The Trump Nuclear Posture Review not only rejects this logic, it ties our forward-deployed forces to NATO’s strategic forces as part of the bloc’s “supreme guarantee.” So rather than move in the direction of reducing nuclear risks by removing nuclear weapons from vulnerable sites, we will instead further cement them in place — when there is ample evidence of terrorist interest in nuclear facilities and, as is presently true in Turkey, evidence that the security of U.S. nuclear weapons reportedly stored there can change literally overnight. Raising the profile of nuclear weapons in our defense plans comes at a time when the disastrous consequences of even limited nuclear use is becoming even more apparent. Alan Robock and his colleagues at Rutgers University — using newly updated climate models and the much greater computing power now available — have concluded that even a limited nuclear exchange (50 to 100 weapons) could create a “mini-nuclear winter” whose effects could last two to three years and create tens of millions of deaths from starvation because of the collapse of grain crops brought on by climate change. On January 11, The Huffington Post leaked a copy of the Trump administration’s first nuclear posture review. The report assesses the role nuclear weapons will likely play in U.S. security over the next five to ten years, and it confirms that Russia is developing Kanyon, the world’s most powerful nuclear weapon. Rumors of Kanyon (or Ocean Multipurpose System Status-6, as it’s known in Russia) first started swirling in 2015 following a leak on Russian television. Soon after, the nation confirmed the weapon’s existence, while claiming the leak was a mistake. However, as defense analyst and military historian H. I. Sutton told Futurism, this leak of the latest nuclear posture review is the first official recognition of Kanyon by U.S. officials. “Incredible” is perhaps putting it mildly. Based on leaked Russian documents, Kanyon is a nuclear-armed autonomous torpedo capable of traveling 10,000 kilometers (6,213 miles) with a 100-megaton thermonuclear weapon as its payload. That’s at least twice as powerful as any nuclear weapon ever tested. According to nuclear bomb simulator Nukemap, it would instantly kill 8 million people and injure an additional 6.6 million if dropped on New York City. Kanyon’s weapon wouldn’t be dropped, though. It would arrive via the ocean and bring with it a massive artificial tsunami that would blanket the coastal area in radioactive water. If the warhead is “salted” with the radioactive isotope Cobalt-60, as some have reported, a detonation could render contaminated areas uninhabitable by humans for an entire century. Though both massive and powerful, Kanyon isn’t particularly fast. The autonomous torpedo’s reported top speed is 100 knots (115 miles per hour), so it would need almost 36 hours to travel from Kronstadt, the westernmost point in Russia, to New York City, the most populated city in the U.S.
Of course, it could be launched from somewhere closer, but according to Sutton, Americans probably don’t need to worry about a surprise Kanyon attack. However, he still believes it’s a “terrifying weapon” and sees its development as a sign that Russia is looking to diversify its nuclear arsenal, likely in an attempt to find ways to get around future missile defenses. As Sutton told Futurism, nuclear deterrence is a nuanced topic. Ultimately, impenetrable missile defenses could actually decrease safety by undermining mutually assured destruction (MAD), the idea that the mere threat of using a strong nuclear weapon against an enemy could prevent that enemy from using a nuclear weapon of its own. By that line of thinking, knowing that Russia has a weapon the U.S. couldn’t defend against could prevent the U.S. or other nations from attacking Russia, starting a nuclear war that would leave the entire planet devastated. If those opposed to nuclear weapons are looking for any bright side to the confirmation of Kanyon’s existence, it’s probably that. New York, Mar. 18 (ANI): If the past is any indication, New York can be hit by an earthquake, claims John Armbruster, a seismologist at Columbia University’s Lamont-Doherty Earth Observatory. „The problem here comes from many subtle faults,“ explained Skyes after the study was published. „Considering population density and the condition of the region’s infrastructure and building stock, it is clear that even a moderate earthquake would have considerable consequences in terms of public safety and economic impact,“ says the New York City Area Consortium for Earthquake Loss Mitigation on its website. „I would expect some people to be killed,“ he notes. THE ever growing close relations between India and Israel, are fast turning into a nexus that will have adverse repercussions for the Muslims of Asia particularly Pakistan, Iran and Afghanistan as well as Central Asian and Middle East countries. In fact many responsible leaders have not minced words in calling the India, Israel, United States an unholy alliance against Muslim countries and their freedom, with Iran and Pakistan being the prime targets. The recent trip to India of Israeli Prime Minister Benjamin Netanyahu, who is best described as a fascist and war-criminal along with a 130-member delegation is the latest development in the unholy alliance of America, Israel and India. The Israeli, Indian cooperation is meant to forge a united stand against Iran and Pakistan and disrupt their progress and economic development. The Israelis signed nine defence cooperation agreements with India. Israel will sell India an anti-aircraft missile system for $2.5billion besides help India to develop a state of the art guided missile system. India and Israel also signed the following agreements during the Israeli Prime Minister’s visit. An MoU on Cyber Security Cooperation between India and Israel. MoU between India and Israel’s Ministry of Petroleum and Natural Gas and Ministry of Energy on Cooperation in Oil and Gas Sector. A Protocol between India and Israel on Amendments to the Air Transport Agreement. Agreement on Film-co-production between India and Israel. MoU between the Central Council for Research in Homeopathy, Ministry of AYUSH and the Centre for Integrative Complementary Medicine, Shaare Zedek Medical Center on Cooperation in the field of Research in Homeopathic Medicine, An MoU between Indian Institute of Space Science and Technology (IIST) and the Technion- Israel Institute of Technology for cooperation in the field of space. A Memorandum of Intent between Invest India and Invest in Israel. A Letter of Intent between IOCL and Phinergy Ltd. for cooperation in the area of metal-air batteries. A Letter of Intent between IOCL and Yeda Research and Development Co Ltd for cooperation in the area of concentrated solar thermal technologies. It is no secret that Israel considers Iran it greatest enemy and opponent and has no love lost for Pakistan as well. Iran has fully supported the Palestinian people in their just cause for a homeland. Pakistan too, is fully committed to the Palestinian cause. Israel’s hegemonistic ambitions have also been checked by Iran while Pakistan’s nuclear capabilities are viewed with alarm by Israel. The reason for the loving relationship between the Zionist power oppressing the innocent Palestinians and fundamentalist Hindu state that has usurped the freedom of the Kashmiri people is America. The United States has nudged Tel Aviv and New Delhi to come close to each other as Washington is dead opposed to the prosperity and progress of the Muslim countries of South, West and Central Asia. In this respect, America has incorporated Indian and Israeli services to stop the China Pakistan Economic Project which also enjoys the blessings of Russia which stands to benefit from this project. The Chairman of Pakistan’s Senate, Mr Raza Rabbani during a recent meeting with the visiting Speaker of Iran’s Majlis (parliament)Mr Ali Larijani said that recent developments in the world and Donald Trump’s decision to shift the US embassy at Tel Aviv to Holy Quds (Jerusalem) have brought Iran and Pakistan even closer to each other. Senator Rabbani who is a seasoned statesman with a close eye on world events was in fact giving a wake-up call to the Pakistani and Iranian people. The US President is purposely reneging on America’s word to Iran by revisiting the nuclear deal. On the other hand the other nations, the UK, France, Germany and Russia have refused to follow the US as Iran has honoured its commitments. As far as Pakistan is concerned, the US has dragged out every dirty trick from its bag to put pressure on Pakistan, from its usual “Do More” mantra to questioning the territorial integrity. The latest Dirty trick was President Donald Trump’s tweet on Jan 01, 2018 in a new year tweet saying Pakistan had taken $33 billion to do nothing. This set off a storm and Pakistan decided to stand up for its honour. Pakistan and Iran have to realise that in this dark hour for both countries, either they stand close together as twins and blood brother to survive as independent honourable nations. The need of the hour, is that friendship of Pakistan and Iran should reflect the close Pakistan and China ties. Higher than the Himalayas and deeper than the oceans. Any other option is a sure recipe for disaster for Islamabad as well as Tehran. 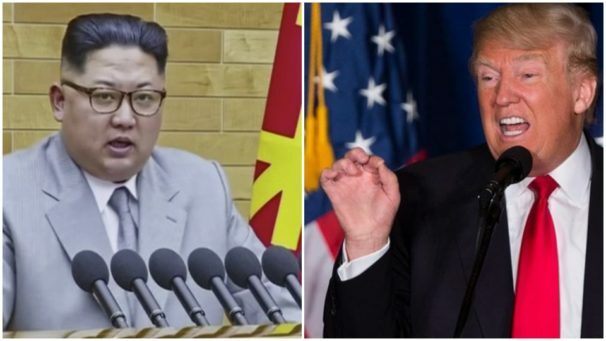 When President Donald Trump bragged recently that his nuclear “button” was bigger and more efficient than North Korean leader Kim Jong-Un’s “button,” he was perpetuating the myth that the leaders of nuclear-armed nations control their weapons. 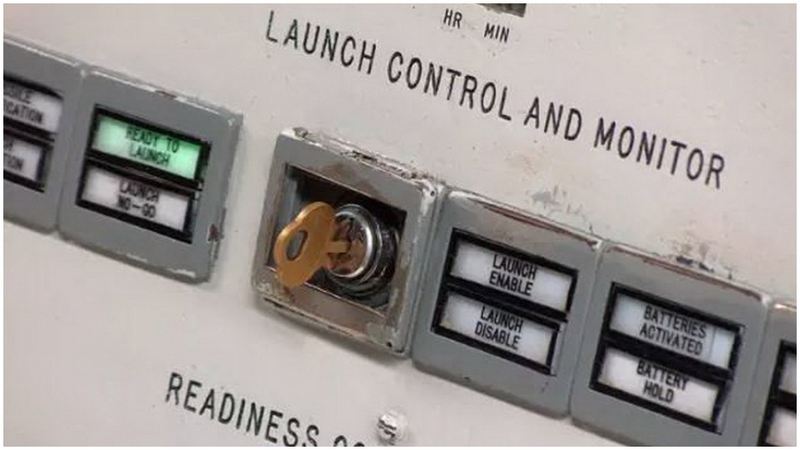 But you do not have to be Trump, Kim, Vladimir Putin, Theresa May, Xi Jinping, Narendra Modi, Mamnoon Hussain, or Benjamin Netanyahu to push that “button.” There are thousands of buttons and thousands of people who can initiate a nuclear war. In his book The Doomsday Machine: Confessions of a Nuclear War Planner, Daniel Ellsberg says that the recent uproar over Trump’s threats to visit “fire and fury” on North Korea misses the point that “every president has delegated” the authority to use nuclear weapons. “The idea that the president is the only one with the sole power to issue an order that will be recognized as an authentic authorized order is totally false,” he told NPR. If a single “button” were the case, decapitating a country’s leader would prevent the use of nuclear weapons. Take out Washington (or Mar-a-Lago), Moscow, or Beijing and you would neutralize a nation’s nuclear force. In reality, the decision to use those weapons merely shifts further down the chain of command. The Russians call it “dead hand”: Moscow goes, and some general in the Urals launches an ICBM or the captain of a Borei-class submarine in the Sea of Okhotsk fires off his multiple war head SS-N-32 “Bulava” missiles. The problem with nuclear weapons—besides the fact that they are capable of destroying human civilizations and most life on the planet—is that they are actually quite fragile, with a very limited life span. “Use them or lose them” is the philosophy of nuclear war planners, because if you hesitate, your opponent may destroy them before they can be launched. The more efficient and accurate your nuclear force, the more destabilizing it becomes. For instance, the U.S. has thousands of nuclear weapons deployed in a “triad”: air, land, and sea. To attack the U.S. with nuclear weapons would be tantamount to committing suicide, because no matter how large the attacking force was, it would be almost impossible to eliminate every warhead. Russia also has vast numbers of weapons, although they are more vulnerable than those of the U.S. Russia has fewer ballistic missile subs, does not really have a modern strategic bomber force, and its land-based missiles are endangered by recent American breakthroughs in warhead technology. According to the Bulletin of Atomic Scientists, the U.S. now has the capability to “destroy all of Russia’s ICBM silos” in a first strike and still retain 80 percent of its warheads in reserve. The danger here, of course, is war by mistake, and there have been at least a half dozen incidents where the two countries have come within minutes of a nuclear exchange. A weather rocket, a flock of geese, an errant test tape—all have brought the world to the edge of disaster. The timeframe for making a decision about whether one is under attack or not is extremely narrow. It is estimated that the U.S. would have about 30 minutes to determine whether an attack was real, but, because the Russians do not have a reliable satellite warning system, that time frame would be about 15 minutes or less for Moscow. China and India had a no-first use policy, but recently New Delhi adopted “counterforce” strategy. Britain, France, and Pakistan all reserve the right to first-use. The Israeli government refuses to admit it has nuclear weapons, so it is unclear what its policies are. Almost all estimates are that such a war would range from calamitous to catastrophic. And nuclear weapons are likely to make it the latter. The recent talk in Washington about a limited attack on North Korea—the so-called “bloody nose” strategy—could be seen by Pyongyang as an attempt to take out its small nuclear force. Under the rule of “use them or lose them,” North Korea might decide to launch them locally (against South Korea), regionally (against Japan), or even at the U.S. Estimates of the outcome of such a war range from the hundreds of thousands to several million dead. Apparently there is also a plan to take out Kim Jong Un, but decapitating North Korea’s leadership merely devolves the decision to use nuclear weapons to some commander in the field. Plus, eliminating a nation’s leader would make it almost impossible to halt such a war. Whom would one negotiate with? An Ohio-class submarine armed with 24 Trident II ballistic missiles is on patrol in the East China Sea. Each Trident II missile has eight W-76 or W-88 warheads, 192 in all. The former pack a 100-kiloton punch, the latter up to 475 kilotons. In total, the submarine can generate up to 91,200 kilos of explosive force. The bomb that destroyed Hiroshima was 15 kilotons. The U.S. has 18 Ohio-class submarines. It doesn’t take a major crisis to touch off a nuclear war. Maybe things get a little out of hand between Indian and Chinese troops on a disputed Himalayan plateau. Maybe India employs its “cold start” strategy of a limited military incursion into Pakistan and some local Pakistani field officer panics and launches a tactical nuclear weapon. The recently released U.S. Nuclear Posture Review posits using nuclear weapons in the case of a major cyber attack. Some 252 million years ago, something catastrophic happened to the planet. A combination of massive volcanic activity, asteroid strikes, and the release of stored up carbon dioxide in the oceans killed 96 percent of life in the sea and 70 percent of land life. Called the Permian-Triassic Extinction Event, it was the greatest die-off in our planet’s history. There are lots and lots and lots of buttons out there. The recent false alarm in Hawaii underscores the threat from nuclear devices. While there has been media attention placed on how the United States is taking military and diplomatic action against North Korea from launching a nuclear strike, there is little media attention given to how well the United States is medically prepared for a nuclear attack. According to a recent report in the Bulletin of the Atomic Scientists, U.S. cities are not medically prepared for a nuclear detonation. This report, written by Dr. Jerome Hauer, who was the former assistant secretary for the Office of Public Health Emergency Preparedness at the U.S. Department of Health and Human Services, asserts that the United States is completely unprepared to manage the aftermath of a nuclear detonation. We are at a moment in history where nuclear terrorism is an unfortunate reality. North Korea and Iran have established nuclear capabilities, and Pakistan has stockpiles of highly enriched uranium. These countries have a history of supporting terrorist groups. It has been acknowledged by our government that highly enriched uranium can be smuggled into this country to build a 10-kiliton improvised nuclear bomb, like that dropped on Hiroshima in 1945. 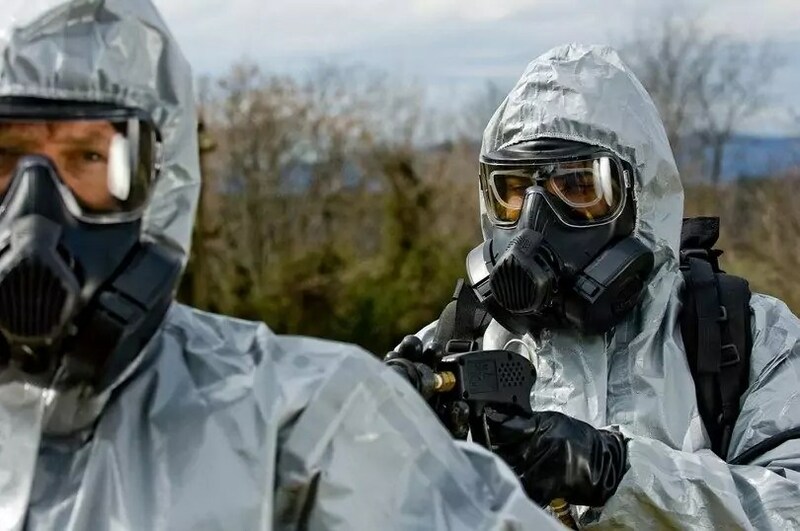 A nuclear threat would even include a dirty bomb that combines a conventional explosive with radioactive isotopes, which could contaminate an area and leave a residual radioactive “hot zone” that is too dangerous for even first responders to enter. Also, radioactive particles can disperse into the air and create a “plume” that could extend hundreds of miles away from ground zero and create a contamination area that would last for years. A nuclear blast would instantly release a massive pressure wave and heat that would incinerate everything within half a mile and kill an estimated 75,000 to 100,000 people. Another 100,000 to 200,000 would suffer complexed radiation burns, while others would be exposed to high doses of radiation that would cause acute radiation syndrome that is characterized by bone marrow failure and gastrointestinal, cardiac, neurological and pulmonary toxicity. The starkest fact about a nuclear bomb attack is that it destroys the capacity to respond from a medical and civil service perspective. There will be a loss of local government services from firefighters, police and hospitals, along with loss of water, sewage and utilities. There will be a loss of communication systems to direct survivors where to evacuate for treatment. The management of mass casualties from nuclear detonation is far more complex than for natural disasters. Hot zones are too dangerous for first responders to enter to render medical assistance to casualties. Yet, victims would still need to be evacuated somehow. According to the report, most U.S. cities lack medical preparedness to manage the aftermath of a nuclear explosion. FEMA has not devoted enough attention to address this issue. This makes it important for cities and states to develop plans for the worse case scenarios. Each state should have a plan of preparedness that includes special medical triage centers; coordinated schemes from state military and local police to provide mobile communication assets and protection against civil unrest; and specialized trained hospitals that can medical manage the injuries associated with a nuclear bomb. There needs to be a statewide plan from the governor’s office from each state, along with each state’s department of public health, to ensure there is sufficient medical preparedness. Several government officials stated they were unable to take steps forward out of being accused of inciting fearmongering. However, developing a comprehensive preparedness program against nuclear threats should not just stop with military action but should include a medical preparation program regardless of how politically undesirable the subject may be. Preparedness should be mandated at every local and state government level. • Alan Moy is CEO of Cellular Engineering Technologies and scientific director of the John Paul II Medical Research Institute.